Percocet and Percodan are the brand names of two narcotic drugs that contain the opioid drug oxycodone (the main ingredient of OxyContin®). Percocet® contains acetaminophen and oxycodone. Percodan® contains aspirin and oxycodone. Both drugs treat moderate to severe pain. Due to the presence of oxycodone, both Percocet® and Percodan® are Schedule II drugs. Percocet® is an FDA Pregnancy Category C drug. Whereas, Percodan® is a Pregnancy Category B drug. Because it is not known if taking Percocet® during pregnancy increases a woman’s risk for delivering a baby with birth defects, it is a Pregnancy Category C drug. Doctors prescribe Percocet® to pregnant women if the benefits outweigh the potential risk. Women who take Percocet ® during their pregnancies have a greater risk of giving birth to babies with addiction and withdrawal symptoms and breathing problems. Tell your doctor before treatment with this medication if you are pregnant, or are breast feeding. The use of Percocet ® has largely replaced Percodan ® for pain after surgery. The aspirin in Percodan ® can cause post-operative bleeding because it inhibits the blood from clotting. However, because it contains acetaminophen, Percocet ® is one of several drugs implicated in many deaths due to acetaminophen. The FDA requires strict sales of Percocet ® as of 2009. In fact, in 2009, a federal advisory board voted to recommend a ban on Percocet®(and Vicodin®). They made this decision because serious liver damage can occur from the acetaminophen in these drugs. 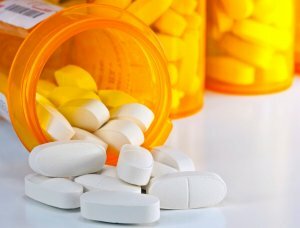 The FDA limits the overuse of painkillers, as of July 2012, including Percocet®.